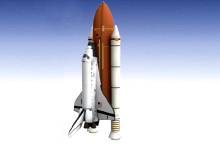 The story of Little Mole and the Spaceship first appeared in 1965 as an animated film. It was Zdeněk Miler’s third film featuring the character of Mole. The first was How the Mole Got His Trousers (1959), followed by Little Mole and the Car (1963). Zdeněk Miler wrote the story and screenplay, created the artwork for the film and directed it. Little Mole and the Spaceship is thus an auteur film. 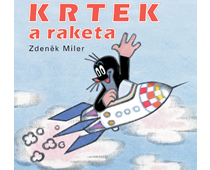 After the film, Miler also created Little Mole and the Spaceship in book form, and it was first published in the same year. It is the only Mole book for which Miler also wrote the text, as well as drawing the pictures. The book has been translated into a number of languages – German, English, Hungarian, Finnish, Russian and Chinese – and a Japanese edition is planned. Little Mole and the Spaceship has entertained audiences both young and old in numerous countries in Europe, Asia and Africa.